When you are on the go traveling, what do you miss from your more settled life back home? Maybe what we don’t miss tells us something about the things we could happily life without. I recently went traveling for nearly 3 months – some of the time I was living in the one place with friends, and the rest of the time I was traveling around, staying no more than two or three days in any one hotel. I can tell you straight away one of things I did not miss while I was away and that is TV. At home I watch far too much, but while I was away I was not even tempted to turn on the hotel TVs, I preferred to either just sleep or read in the room, or else head back out the door for more exploring. And of course I didn’t miss all the routines of settled life like cleaning, cooking and buying groceries. On a sunny saturday I arrived in Brussels and wandered my way from Brussels-midi station through a number of streets with the eventual goal of the Magritte Museum. When I walked uphill and got to the top of the Mont des Arts, there was a busker playing guitar and singing in English in an open area. When I heard some familiar songs sung in my language, I realised how much I missed music and particularly the freedom to sing. I suppose you could sing in the hotel shower, but apart from that, there’s not much privacy or freedom to sing when you travel (unless you’re a musician, or you’re on a bus tour where people want to revive their school camp bus-singalong days). 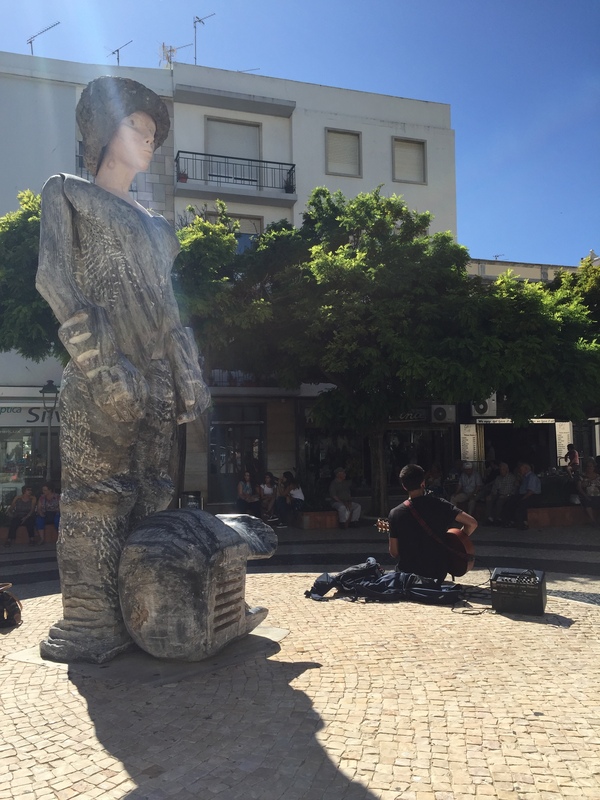 I came across a few buskers in my travels at times when their music gave me pangs of longing. When you travel to countries where your own language is not spoken, even the simplest things become hard and hearing songs sung in your own language provides a real touch stone. I have to say I almost never give money to buskers (although I did give money to a classical guitarist at the market who did a great rendition of ‘Paint it black’ earlier in the year). But I know now how much a (good) busker can give you something you didn’t even realise you were missing and so I plan to be more generous to buskers in the future.